Pax standing left, holding olive-branch and scepter. 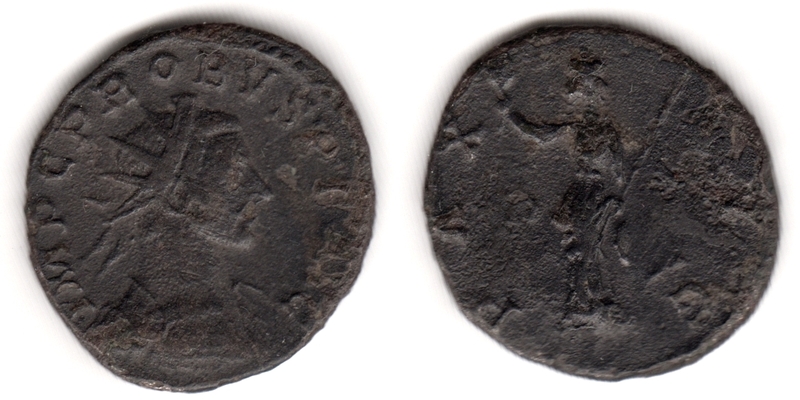 Minted at Lugdunum (Lyon, France), 9th emission, in 282 A.D.
Webb, P.H., "Roman Imperial Coinage", Volume 5, Part 2 (RIC), p30, nr. 119 (obverse bust type F). Van Meter, D., "Handbook of Roman Imperial Coins", p262, nr 30.